Trapping has become somewhat of a lost art, but interest in the sport is as strong as ever thanks to a stable fur market and a growing need to control mammal populations or remove nuisance animals. 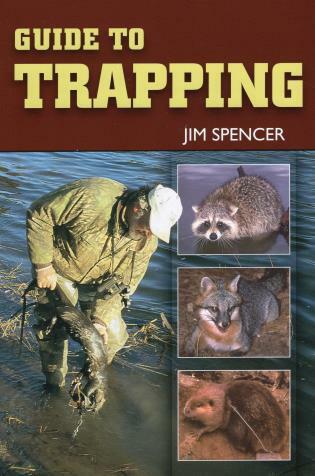 In Guide to Trapping, Jim Spencer covers strategies for successfully harvesting popular species such as raccoon, muskrat, mink, otter, beaver, coyote, gray fox, red fox, bobcat, skunk, and opossum. His entertaining and informative writing will appeal to trappers of all levels. Spencer discusses trap styles and the basics of establishing and working a trapline, including techniques for fastening and adjusting traps and a species-by-species review of trapping tactics for the country's most pursued furbearers. The field-tested techniques, carefully explained and illustrated, will help trappers make sets that deliver maximum results. Jim Spencer retired from a successful career as a writer and editor with the Arkansas Department of Natural Resources and is now a freelance outdoor writer. Also the author of Mink Manual (1-8792-0614-5), he lives in Calico Rock, Arkansas.